I first visited Malta 14 years ago and remember myself and my friends trying desperately to find a gay scene and left extremely disappointed as you could imagine as an early twenty-something would in a fruitless search of gay nightlife in the winter sun. The visit in 2004 was in the same year that Malta had its first Pride March an event to which no more than 50 people attended and so my interest was piqued when Allied Rainbow Communities announced the 2018 Malta Pride Parade & Celebration taking place in Valletta, the European Capital of Culture. Time to give Malta a second chance. 1) It is a little-known fact that Malta ranks as the leading country, before even The UK and Belgium, regarding how the laws and policies of the country positively impact on the lives of LGBT+ people. 2) Discrimination regarding sexual orientation, gender identity and expression in Malta has been banned nationwide since 2004. 3) Malta is one of the few countries in the world to have made LGBT+ rights equal at a constitutional level. 4) In 2016, Malta became the first country in the European Union to ban conversion therapy. 5) Despite being a liberal country, Malta is extremely limited when it comes to exclusive gay venues. There are a few places that are indeed worth checking out for a stay on the island, the best two I have included here. There are many reasons to visit magical Malta, the world’s tenth smallest country, home to just 400,000 people. Firstly, the location. The three islands that make up the country – Malta, Gozo and Comino – are found almost directly in the center of the Mediterranean, 60 miles from Sicily. As such, temperatures are warm almost all year round. Secondly, there’s Malta famously LGBTI-friendly reputation. Despite being a deeply religious country, (the most popular religion being Roman Catholicism), Malta once again topped this year’s ILGA-Europe ‘Rainbow Index’, which ranks countries by how their laws and policies promote sexual and gender equality. Malta is a major destination for Jet2holidays, the UK’s second biggest tour operator who provide package holidays from nine UK bases – London Stansted, Birmingham, Leeds Bradford, Manchester, Newcastle, East Midlands, Glasgow, Edinburgh and Belfast International. Season One of Game of Thrones was filmed in many locations across Malta and Gozo. Meanwhile Popeye Village Malta, the set of the live action 1980 film, based on the iconic cartoon sailor, is now a major tourist attraction. This beautiful location is the perfect backdrop for blockbuster films and hit series. For many in Europe, Malta has a reputation for being a rather genteel holiday destination for older holidaymakers. The island is trying hard to shift that perception, with youth-oriented music festivals and a growing awareness of the LGBTI tourism market. It’s also an increasingly popular spot for those with a passion for diving. However, for many, gay Malta’s main attraction remains its tranquil, Mediterranean charm. 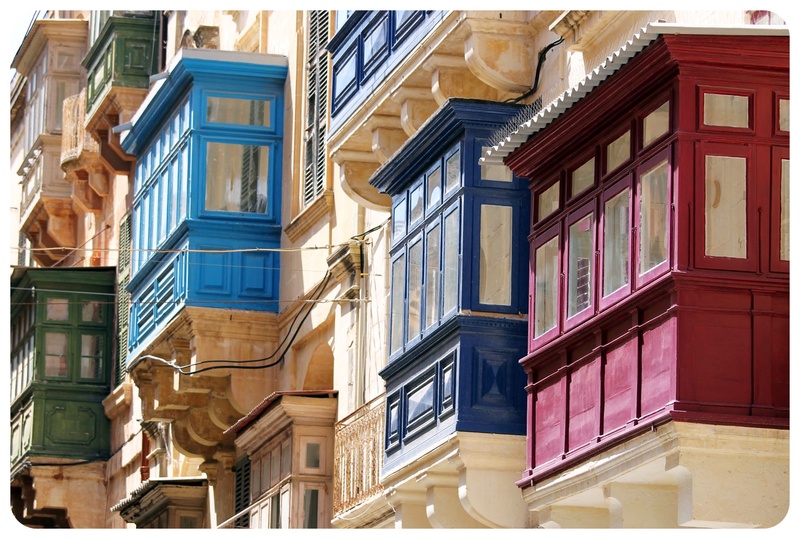 Most holidaymakers head for Valletta, the capital city. It’s also a major harbor which plays host to cruise ships throughout the year. Malta is actually three islands. Malta itself has a population of 400,000, while the smaller Gozo has 30,000. Comino, the smallest part of the archipelago, is almost uninhabited. Approximately 1.6million tourists swell Malta’s population each year. The UK accounts for around 450,000 of those. The island nation has a fascinating history. It has been tussled over by various factions, including Arab invaders, the Normans, the Knights of Malta and French. It was a major British naval base between the early 1800s and 1964, and elements of Britishness persist, such as red phone boxes. What dominates greater is the Maltese limestone from which almost all the buildings are built. Valletta was built along a grid system. Narrow streets are lined with buildings dating back to the 1600 and 1700s. Figures of saints and the Virgin Mary abound. Way to go, Malta! The island nation in the Mediterranean Sea is now the 15th in Europe to win marriage equality, following today’s vote. It follows Germany, which voted in favor of the move at the end of June. What: A natural swimming pool known for its immensely clear waters. Where: Located near the village of Marsaxlokk. Why: It’s a perfect example of Malta’s craggy, dramatic natural beauty. It’s time to reacquaint yourself with Malta, the island nation in the heart of the Mediterranean Sea – and the European destination you’ve been missing. Malta is comprised of three separate islands with a land mass of 316km2. But despite its modest size Malta gives visitors a huge variety of exciting and unforgettable things to see and do. Malta’s three inhabited islands are Malta, Gozo, Comino, home to just 420,000 people. To put that into perspective, that’s almost 100,000 less than the UK’s city of Manchester. Despite the more relaxed atmosphere, Malta still offers a wide range of entertainment and nightlife to add a slice of excitement to your holiday. The tiny nation of Malta, the world’s ninth smallest country, is one of those places we’ve all heard of, we all know someone who’s been – and yet, it’s rarely at the top of anyone’s holiday list. But it should be, and here’s why. As a country, Malta is comprised of three islands: Malta, Gozo and Comino. All are beautiful, with their own unique charm. Comino’s the smallest of the three. At only 3.5km2, it’s bijou enough to see without the aid of four-wheeled transport, which is just as well, as there are no cars on the island. There’s only one hotel here – the creatively-named Comino Hotel – but as the island’s only a 30-minute boat ride from Malta, and less from Gozo, there are plenty of accommodation options to consider. When Lonely Planet published its picks for the Top 10 cities to visit in 2015, I felt lukewarm about most of the cities they had chosen – I touched on the topic briefly in this article – but the one city where I wholeheartedly agreed was Valletta. This gem of a city is usually overlooked, Lonely Planet said, and I had to admit that I was guilty of that too: While I’ve told you all about my impressions of Malta, my road trip across the island, medieval Mdina and the delicious Maltese food, I didn’t tell you anything about the place I spent the most time in during my visit to Malta: Valletta, the tiny capital of the island nation. Valletta was announced European Capital Of Culture for 2018, which means at the moment there is an extra boost in restorations and new developments, adding to the city’s attractiveness, – and it will help to put Valletta slowly but surely on the list of Europe’s most charming capitals. Head for the Beach: In the northern part of the island, Paradise Bay is secluded and known for its snorkeling, while the appropriately named Golden Bay is where many tourists head first. There are several hotels in the area, including the Radisson Blu where nightly rates start at €180 ($244). For a less expensive option, vacation rental sites such as Homeaway feature three-bedroom villas for as little as $76 per night. Explore Valletta: The Maltese capital is so filled with historic Baroque buildings that the whole city has been named a UNESCO World Heritage site. Designed by Francesco Laparelli, the city was intended to be a rectangular grid with an opera house at the city entrance. The Royal Opera House was destroyed during World War II, but Valletta is far from a city of ruins. Right now I’m kicking around the Mediterranean and the Middle East with my girlfriend on an all-expenses paid-vacation that I could never afford myself. Over the span of a few weeks I’ll be exploring two countries, two islands and two Arab emirates, via eight planes, one boat and, hopefully, some camels, abras and horse-drawn carriages. When I told my people that I would be visiting places like Malta and Modica, it was clear that not many knew where those places were, exactly, or why people would want to visit them. I didn’t know either; prior to this trip my knowledge of the Mediterranean was limited to antipasto and the Santorini location shots featured in The Sisterhood of the Traveling Pants. At first I wasn’t going to write this feature, running on the (correct) assumption that the somewhat conservative Catholic and Islamic regions that I would be visiting wouldn’t offer up too many queer experiences. But then I got here and I discovered the most adorable and humble places and people that I felt compelled to document every precious little moment. Most of them involved food. This is actually a food blog.